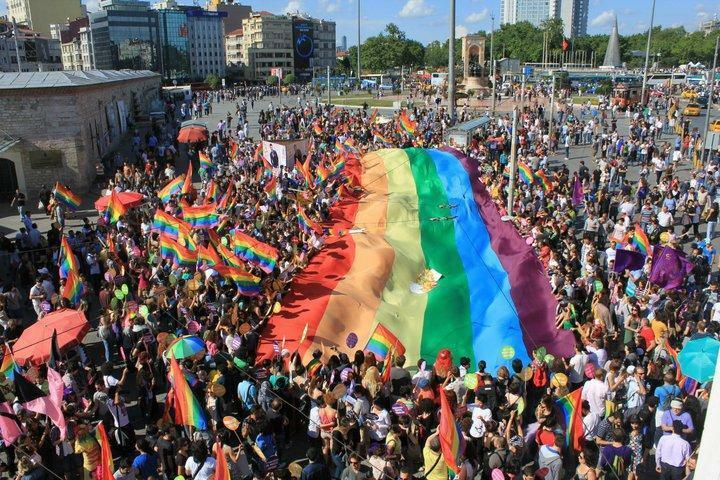 Gay Pride events around the world are an opportunity to showcase our uniqueness and individuality, while preserving the basic fundamental human right of being free to be who we are. Over the years, such events have morphed into quite the spectacle and annual party for cities to highlight what they have to offer and for gays and lesbians everywhere to unite for a season of fun and celebration. Gay Pride Tokyo, Japan – Gay pride events throughout Asia have been gradually picking up steam in recent years, and Tokyo is a great reflection of this reality. Taking place annually towards the end of April, this event is officially dubbed Tokyo Rainbow Pride and it is growing in numbers and prominence every year. This year’s event is still in the planning stages, but readers can get up to date information on the official website at www.tokyorainbowpride.com This event tracks gays and lesbians from throughout Japan, naturally, but is beginning to attract individuals from other parts of Asia that do not yet have a Pride event of their own. Tokyo Rainbow Pride blends the social awareness of Pride with the parties and nighttime events that have made Gay Pride’s legendary around the globe. Gay Pride Sao Paulo, Brazil – All know that Brazil knows how to throw a party, no matter what your sexual preference might be. With Carnival ending in February, revelers can rest certain that gays and lesbians all over the region are ready for Sao Paulo massive Pride celebration come the first week of June. By many estimates, the parade itself it the largest in the world, making the Guinness Book of World Records in 2012 with more than 4.2 million participants. The weather in Brazil is hot and the guys even hotter. Do not plan on getting much sleep attending this particular gay pride, as the Brazilian culture will keep you proud and have you partying, quite literally, day and night. Gay Pride Tel Aviv, Israel – Around the same time as Sao Paul, a Pride event on the other side of world takes place in Tel Aviv. The 2016 event is set to take place starting May 29th, and will last until Sunday, 5 June. This is one of the global gay capitals and the Pride event comes with a mix of all things Israeli. In addition to the traditional gay pride parade, there are a week of events taking place throughout the city both day and night. The variety is extreme, so literally everyone can get involved at some level. The Tel Aviv Gay Pride event is one of the more organized Pride events, so look for tickets to go on sale soon. They offer combo packages and enable participants to tailor make their own experience. Remember that quality hotels in the region are limited, so get your booking in soon! Gay Pride Boston, USA – Needless to say, there are countless Pride events taking place throughout North America, and Boston has one of the biggest and best. Taking place this year from June 3-12, the weather should be just perfect. The humidity will not be out in full effect as of yet, and they days will surely be sunny and gay. For sports fans out there, it is the middle of baseball season and Gay Pride has become so large that they now have their very own Fenway Park night. The parade is always spectacular with a well known figure being the Grand Marshal every year. New England is very welcoming to gays from all over the world, so this is sure to be one party that you will not want to miss if you are in the area. Gay Pride Los Angeles, USA – On the other side of the American coast sits the sun and surf of Los Angeles. Taking place annually for more than 30 years, this is one of the larger events in North America. The parade has grown so large that organizers are able to color code participants into the formation of an enormous rainbow that marks proudly straight down the path of Santa Monica Boulevard. Gay Pride Los Angeles take places the same week as that in Boston. Expect a sun-drenched week of daytime beach parties, parades, nightclub festivities and more. All of this takes place in traditional Hollywood style – all the glitz and glamor you can handle included. Gay Pride Shanghai, China – China’s first version of Gay Pride takes place annually in Shanghai. It is the only one of its kind on mainland China to date. The focus of Gay Pride in Shanghai is vastly different than some of the party scenes we have been covering, as the event is used to promote awareness of the LGBTQ community in China and to encourage a more tolerant society. The event is entirely volunteer driven and it continues to grow bigger every year. Sponsors are jumping on board, there is a growing film festival scheduled to once again take place this year, and supporters from all over the world come to support China’s effort at demonstrating Gay Pride. The Shanghai event this year will take place from June 17 – June 26, 2016. If you are in the area, please consider showing your support. Gay Pride Berlin, Germany – Berlin is certainly one of the gay capitals of the world, so one can expect quite a spectacular event each and every year For regular attendees, it must be noted that this event is taking place one month later than usual due to the European Football Championship taking place in the city during June. Because of that, look for Berlin Pride to begin on July 23, 2016. The parties are sure to be non stop and action packed. Events are scheduled throughout the city. As one of the more established Pride events on the face of the planet, look for a healthy mix of fetish parties, social awareness campaigns, one of the largest parades in Europe, and more. Gay Pride London, England – Gay Pride in London will kick of this year on June 18th, with the main events taking place on the 25th and 26th. Some of the most spectacular gay entertainers from across the globe will assemble, along with world class DJs and parties galore. The city is already ripe with the hottest and most vibrant gay scene year round, so Gay Pride is sure to excite nearly every style of gay traveler. This is one of those Pride events that should not be missed if you are anywhere near the UK come June. Gay Pride San Francisco, USA – This year will mark the 46th installment of San Francisco Gay Pride, set to take place on June 25th and 26th. If you have never been, then it should be on your calendar as of now. It is no secret that this is one of the largest Pride events in the world, and the most well known. It truly encapsulate the meaning of Gay Pride, as gays and lesbians in San Francisco have been living openly together within the community for more than a half century. See what all the fuss is about and take part in many of the numerous social awareness events and parties to take place across the city throughout the weekend. There you have it – a little something for everyone at Gay Pride 2016. The world is becoming aware that the gay and lesbian community is large, vocal, and proud. Show your support this year by attending events that are near you, and consider crafting some of your travel plans this summer around an event that you have never attended. You will surely meet some new friends along the way and have a blast while support social and cultural awareness. Where else can you accomplish so much and party while doing it? Enjoy, be safe, and have fun!